A Holaloro template we use for celebrations of any kind but mostly marriages. It uses the lates technologies available to make it fast an responsive. It works perfectly on any device and screen size. 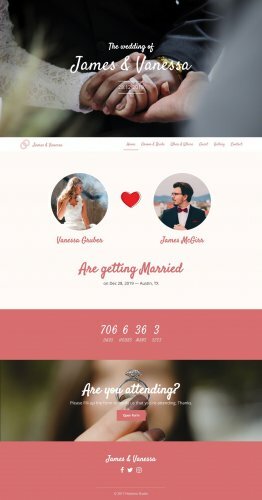 This website is part of a series of 4 website dedicated to wedding celebrations.